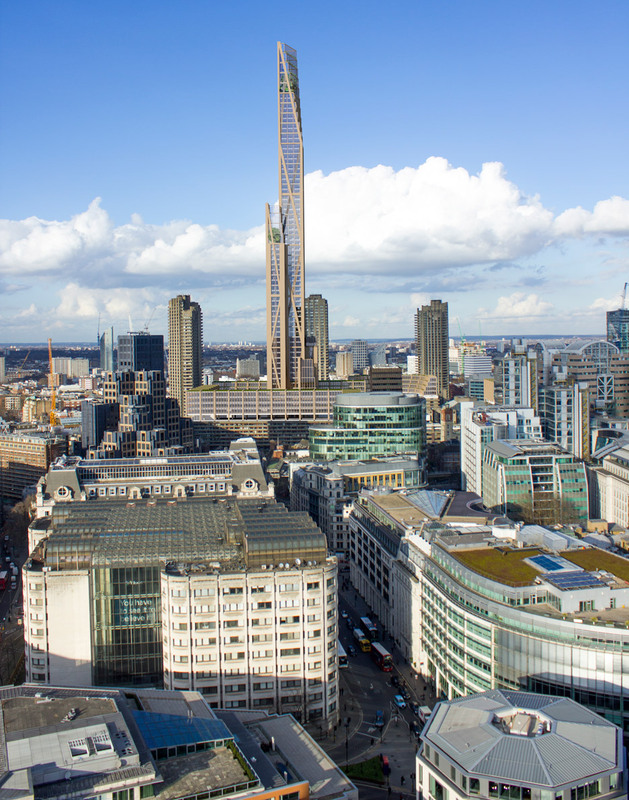 An angular affair of wood and glass, this proposed skyscraper is designed to reach nearly 1,000 feet in the air and, if it goes forward, will be the first timber-framed tower in London and tallest such structure on Earth. 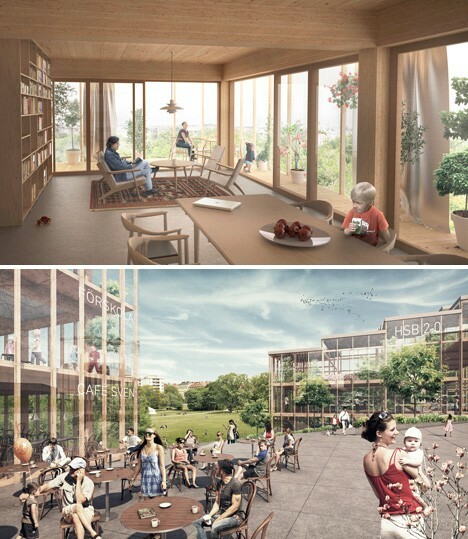 Stick-framed houses are standard in many parts of the world, but using wood for skyscrapers also has a lot of potential advantages for cities, the environment and building inhabitants. 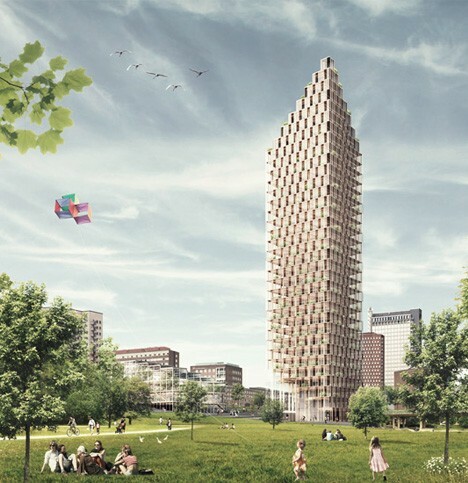 Using wood means lower costs and less embedded energy. Compared to steel, it is a more renewable resource and its organic look and feel appeal to human occupants. The obvious worry for most people is, of course, fire. However, timber buildings are famously good at standing up to flames – wooden columns and beams will char in an inferno, and that charred surface can actually stand up longer to heat than exposed steel. While steel heats up and buckles, wood first loses its water weight, then chars and resists the flames. Even when encased in concrete, rebar can heat up, buckle and bend. 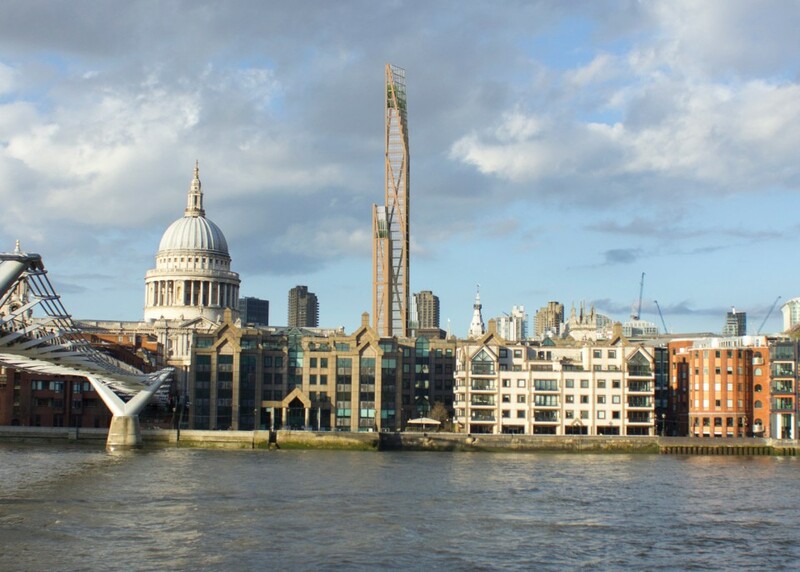 Rising 80 stories above the city and providing 1,000 housing units, the London stick tower project is a collaboration between PLP Architecture and Cambridge University’s Department of Architecture. 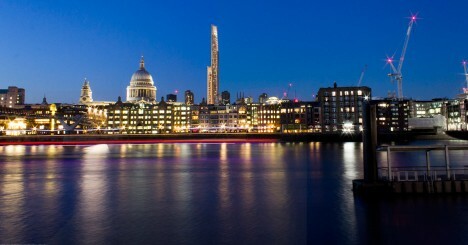 Completed, it would be the second-tallest building in the city next to The Shard.